Visitors journey to Wye Mountain from all over the region every March to take in a sea of yellow at the annual Daffodil Festival. It is hosted by the Wye Mountain United Methodist Church, and this is the festival’s 41st year. It will run March 2 through 10. In 1919, Austin Harmon moved to Wye Mountain from Oklahoma to start a church in an old schoolhouse. That church is now the Wye Mountain United Methodist Church. David Harmon is Austin’s great-grandson and a current member of the Wye Mountain United Methodist Church. He is the only person who has been to every single Daffodil Festival. By 1948, thousands of daffodils were blooming at Austin’s home, and he suggested selling flowers to raise money for the church. That year, Austin and the members of the church on Wye Mountain transplanted 65 bushels of bulbs to the fields surrounding the church building. For the first two decades after the daffodils were flourishing in their new home, the church sold the flowers to various stores in the region. Although Austin could grow any flower, daffodils were the perfect choice for this project because they were easy to grow and stayed beautiful a long time after they were harvested. During the 1950s and early ‘60s, the church paid local teenagers half a cent per dozen to pick the flowers, which were sold in gallon jars to grocery stores in the region. The congregation sold daffodils to stores in Arkansas, as well as stores in St. Louis, Tulsa, and Kansas City. By 1965, the congregation had raised enough money from the daffodils to build a new church and move out of the old schoolhouse. “The daffodils have been a Godsend for this church,” Mr. Harmon said. The money helped the church grow throughout the 1940s, ‘50s and ‘60s. Today, the money from the Daffodil Festival helps the church pay its pastor. In 1965, the church stopped selling the daffodils, and the flowers would “come up, then die, then come up, then die,” over the next thirteen years, said Mr. Harmon. In 1978, some members of the congregation met to determine what to do with the seven acres of daffodils that were blooming year after year around the church. That year, the Wye Mountain Methodist Church decided to host the Daffodil Festival to raise money. Many of the women who planned the first Daffodil Festival were in the extension service and understood how to care for the flowers from that work. For the first 39 years, the Daffodil Festival did not have a set weekend. Mother Nature would determine when the church should hold the festival. “We used to just wait until the flowers were ready, then we’d have our arts and crafts festival,” remembered Mr. Harmon. Last year, the church decided to hold the festival on the first two weekends of every March so vendors and visitors can plan in advance. Although this means that some years the festival will start before the daffodils are in full bloom, Mr. Harmon pointed out that the festival will never be too late for visitors to see the flowers. Visitors park in the church’s gravel parking lot and are welcome to wander the seven acres of daffodils for free. 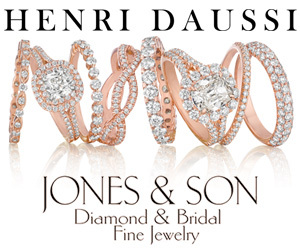 The fields feature millions of blooms that showcase more than 30 varietals of daffodils. Matthew Kerns, a Little Rock resident, visited the festival for the first time last year with his wife and toddler. “We all loved it – none of us had ever seen so many daffodils in our lives!” he said. Mr. Kerns heard about the festival through word-of-mouth and thought it would be a perfect place to take Easter photos of the family. He was surprised about how close it was to Little Rock, yet how different the scenery was. Visitors can take as many photos of the fields as they like for free, and can even bring a professional photographer for a $25 fee. Ms. Hoggard said that she goes several times a year, and that the field is even more important to her than the actual festival. “Wye Mountain has riches greater than silver and gold,” she declared. One thing that makes the scene so picturesque is the sheer number and variety of daffodils. Mr. Harmon said that daffodils cross pollinate so readily that Wye Mountain features varietals that are unique to the area. Anyone who is drawn to these distinctive blooms can buy bulbs for $5 per dozen. 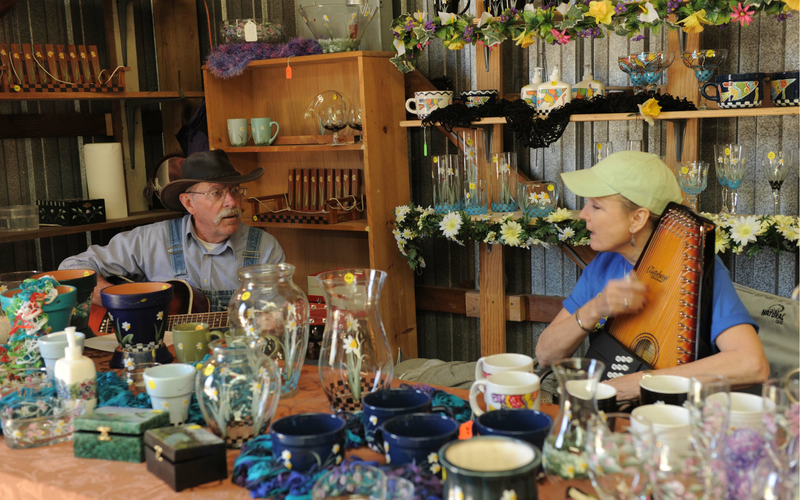 The Wye Mountain Daffodil Festival has changed over time. For the first several years, the festival was only one weekend. Additionally, for the first ten years of the festival, the church allowed visitors to pick as many blooms as they wanted. That tenth year of the festival, all of the blooms were picked by sunset on Saturday, so Sunday festival-goers did not get to see any flowers. The next year, each visitor could pick only a dozen flowers. Again, all of the blooms were gone by sunset on the first day of the festival. Since that time period, picking is only allowed in certain areas of the field each day. This tradition continues, and visitors who would like to pick daffodils must pay $1 per dozen. Visitors love being able to pick their own flowers, and harvesting the daffodils actually helps the flowers bloom the next year. Although the flowers draw the crowd, there will be plenty for visitors to do in addition to wandering the fields beside the Wye Mountain United Methodist Church. Last year, the festival expanded to allow vendors to set up outside the small building that is on this property. That means that this year, the Daffodil Festival will feature 30 vendors. 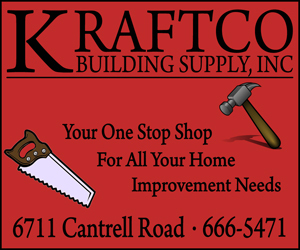 The majority of the vendors will be selling crafts, from candles to home décor to jewelry. Seven food vendors will also attend the festival, serving everything from funnel cakes to barbecue to catfish to pizza. There will be an area for children, with entertainment such as a face painter and kites to fly in the field. The church will be selling cookbooks and festival t-shirts designed by Cynthia Harmon, Mr. Harmon’s wife of 39 years. Mrs. Harmon has attended the Daffodil Festival annually since its second year. 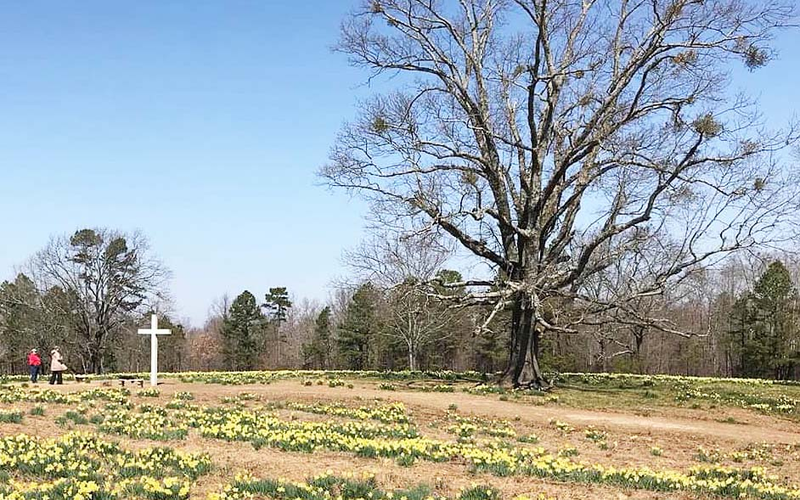 The tree was named “The Daffodil Oak,” and its wood will be put to good use as pews for the Wye Mountain United Methodist Church. 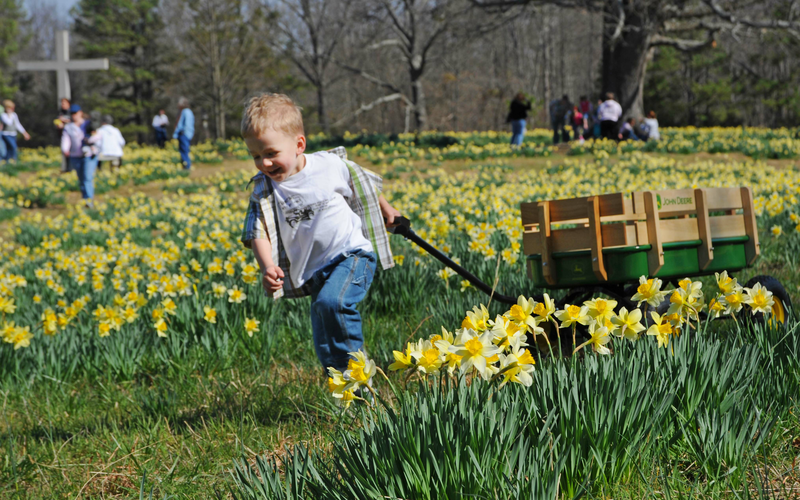 The Wye Mountain Daffodil Festival will be open 10 a.m. to 6 p.m. daily and will run from March 2 through 10. It is at the Wye Mountain United Methodist Church at 23300 Highway 113 South, Bigelow, Arkansas. 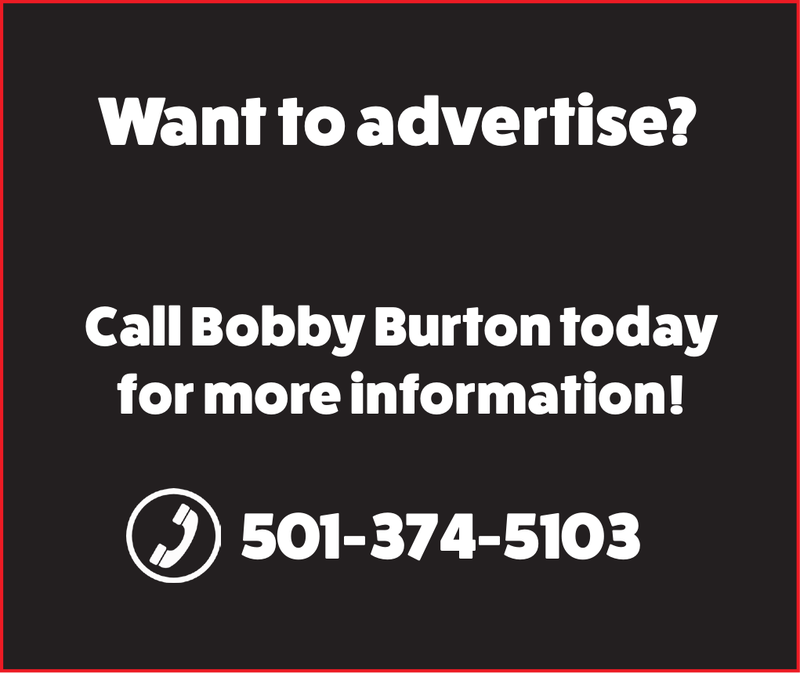 Mr. Harmon is still accepting music acts for the festival and can be reached at 501-391-2147.